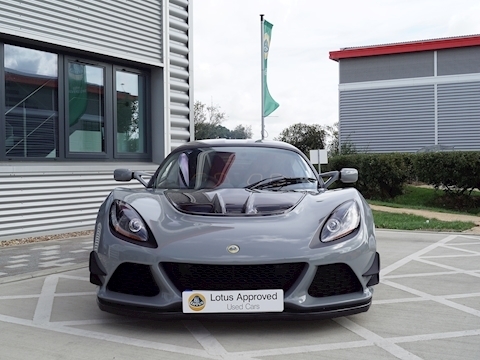 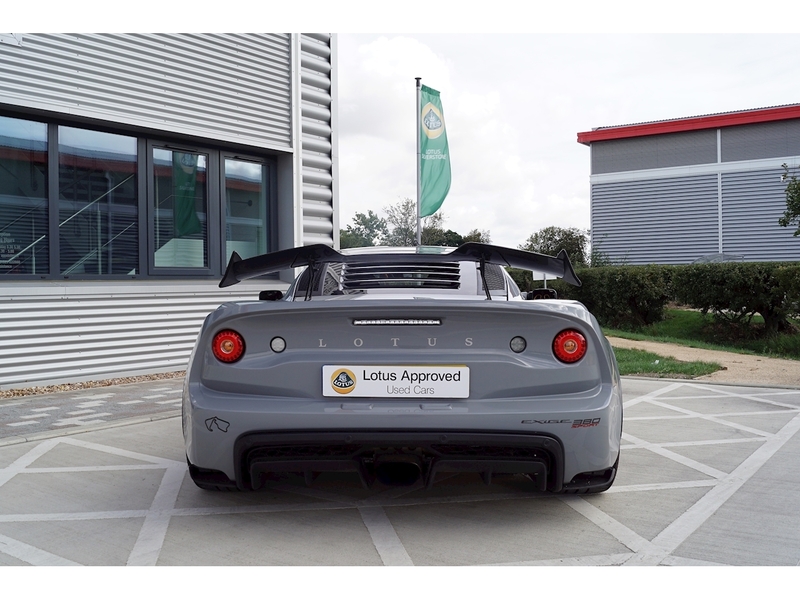 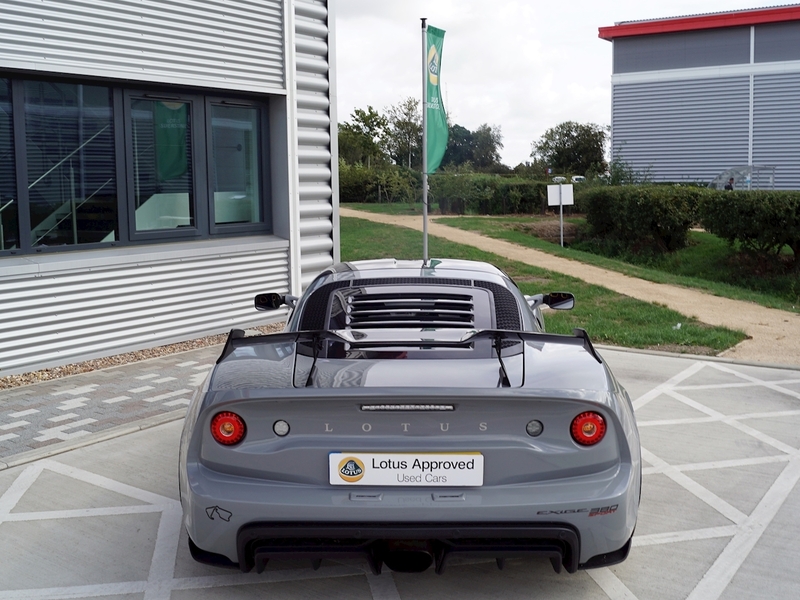 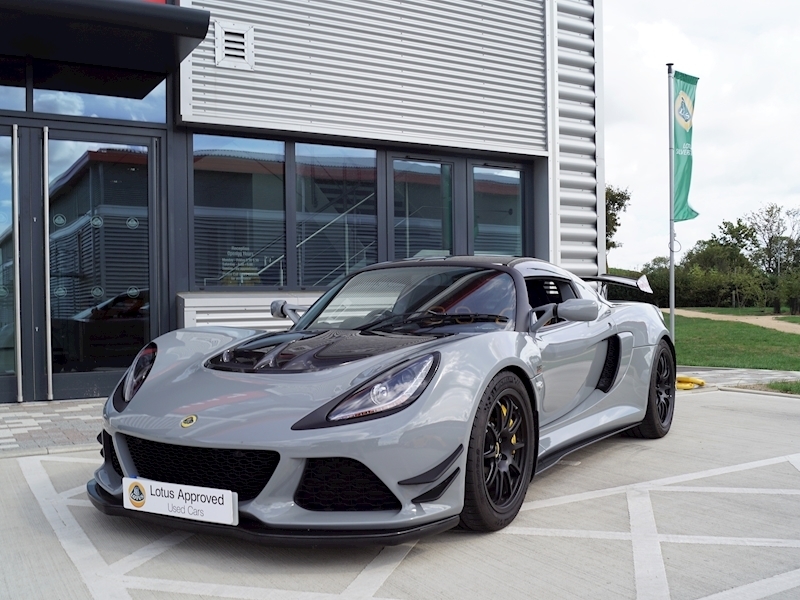 Exclusive Lotus Exige Sport 380 (380hp) finished in Pewter Grey teamed perfectly with Black Alcantara Carbon Sport Seats, Alcantara Interior Sills, Alcantara Fascia Vents and Alcantara Steering Wheel with Contrast Yellow Stitching, plus Yellow Interior Colour Pack, Yellow Transmission Console, HVAC Surround, Seat Eyelets and Electric Window Bezels. 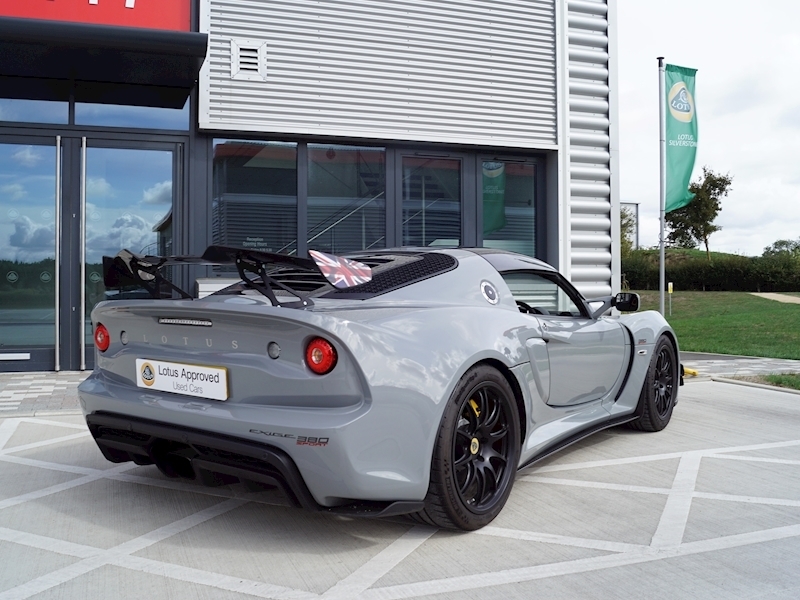 Plus, Carbon Fibre Hardtop, Carbon Fibre Tailgate, TRACK PACK with Nitron Two-way Adjustable Dampers, Eibach Front and Rear Adjustable Anti-roll Bars. 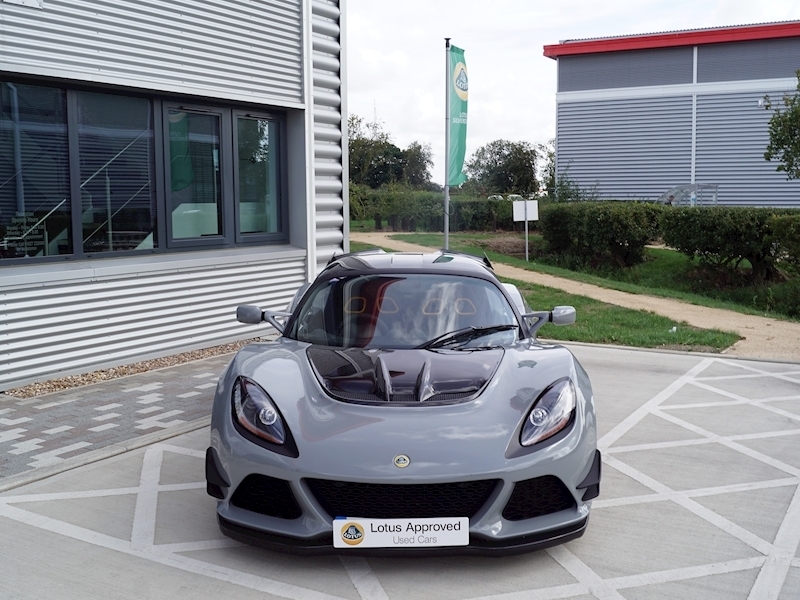 Revised Carbon Front Access Panel, Carbon Front Splitter, Carbon Barge Boards, Twin Pairs of Front Canard Wings, Lotus DPM System with Sport and Race Modes, Revised Supercharger Pulley, Uprated Fuel Pump, 48l Fuel Tank, Recalibrated ECU and Revised Exhaust System, as seen on the Evora 400 and Evora 410.